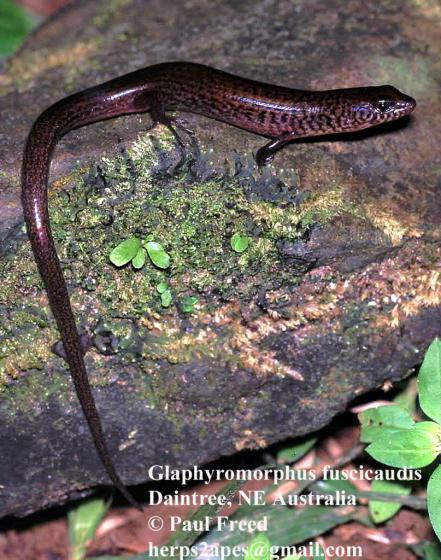 Can you confirm these amateur observations of Glaphyromorphus fuscicaudis? Type locality: Mt. Finnigan (3, 700 ft), Mt. Finnigan National Park, NE Qld.